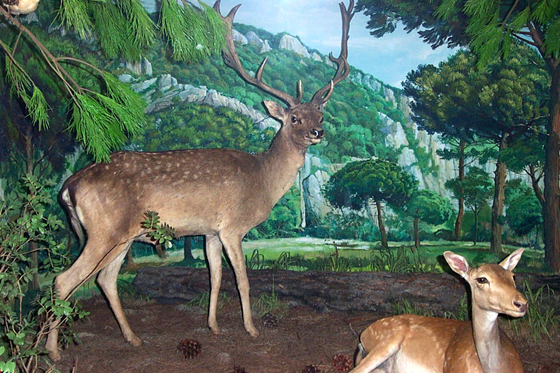 Deer (Dama dama) are typical ungulates living in Mediterranean areas. At present, the distribution of deer is completely artificial. The only original population left is that of Düzlerçami (Termessos National Park), near Antalya, in Turkey. Deer are common in many areas of western Europe. The distinguishing feature of the deer is its coat, which can be dappled (brown with neat pale spots) or dark brown. At the age of 10 months, the males grow antlers, that fall in spring every year and grow again immediately afterwards.